Back in March, Xiaomi-supported startup iRiding launched the Qicycle R1, a premium road bike with an electric transmission, built-in sensors and a lightweight carbon fibre frame. It was also just over £2,000 so hardly an affordable two-wheeled purchase, but iRiding is back with a decidedly more economical offering - the foldable and electric Mi Qicycle. 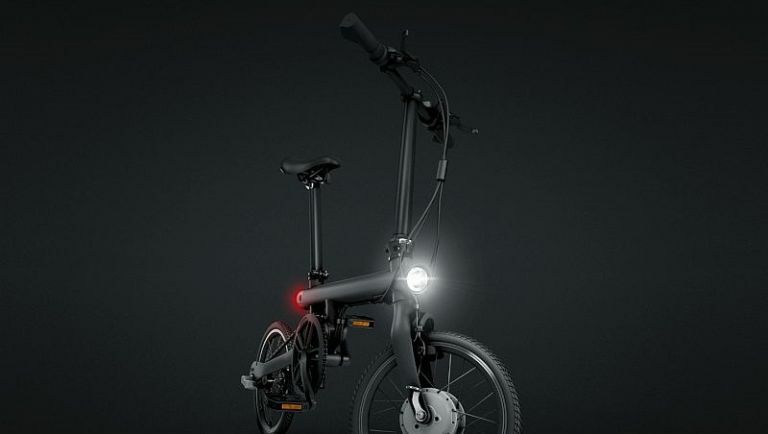 Clocking in at a far more agreeable £307 and is aimed at commuters who want all the benefits of an electric bike while still retaining the ergonomic characteristics of a foldable one. For a start, it's super lightweight at 14.5kg and can be folded in two to make it much easier to carry on the train or store at work/home. The Mi Qicycle comes with a conservative yet still sprightly 250W motor coupled with a Shimano three-speed setup that offers pedal assist. This feature provide up to 45km (about 28 miles) on a single charge so it should easily get you through a return commute into the City and beyond. It also comes with an IDbike Torque Measurement Method (TMM), which intelligently measures the torque you apply and adjusts power based on your pedaling. Much like Xiaomi and iRidings' last offering, the Mi Qicycle also is also supported by a companion smartphone app that displays in-depth info such as bike status, GPS navigation, ride stats. Currently the bike is only available for purchase in China, but if we're lucky the cool little two-wheelers might just make their way over here one day.